Dan and I departed Le Roy at 9:15 am and turned south toward St Mary's, PA for breakfast at The Silver Wing. The windsock was utterly limp and the skies so clear that the plume of mist rising from Niagara Falls was visible from Le Roy. Nearing the southern tier of New York, it became evident that a flood had taken place. 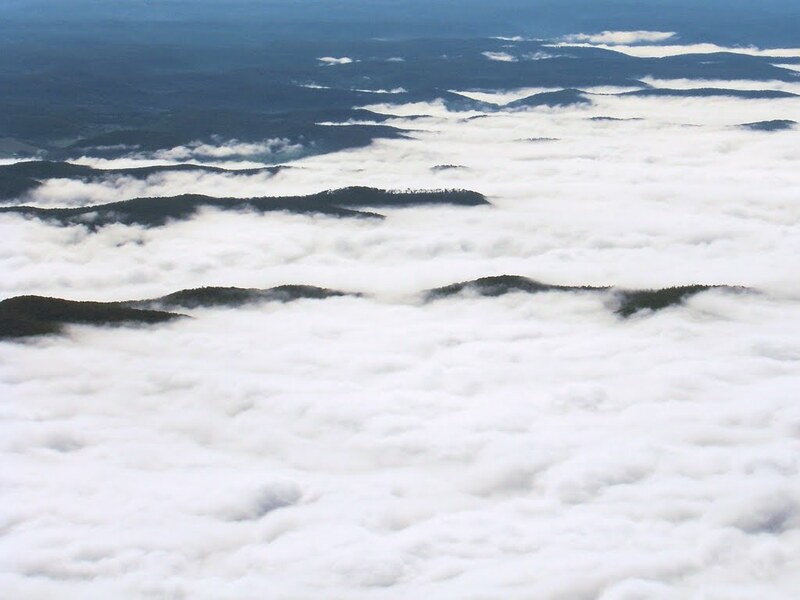 A torrent of water vapor had spilled throughout the valleys such that only the tops of the surrounding hills remained above it. Lonely hilltops project above the encroaching tide of partially-condensed water. 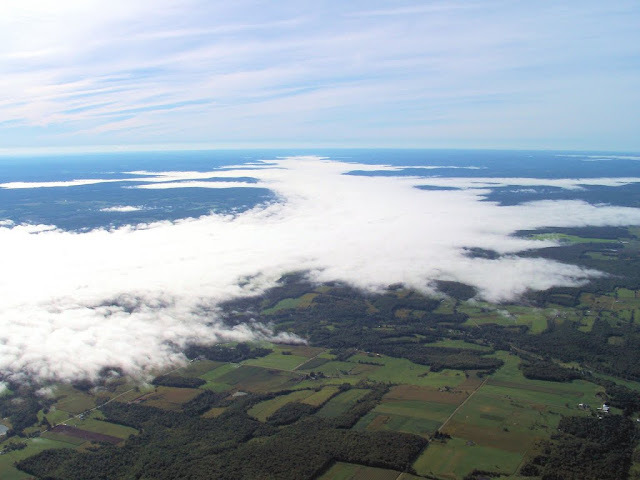 The nebulous sea persisted throughout much of the southern tier and into northern Pennsylvania. 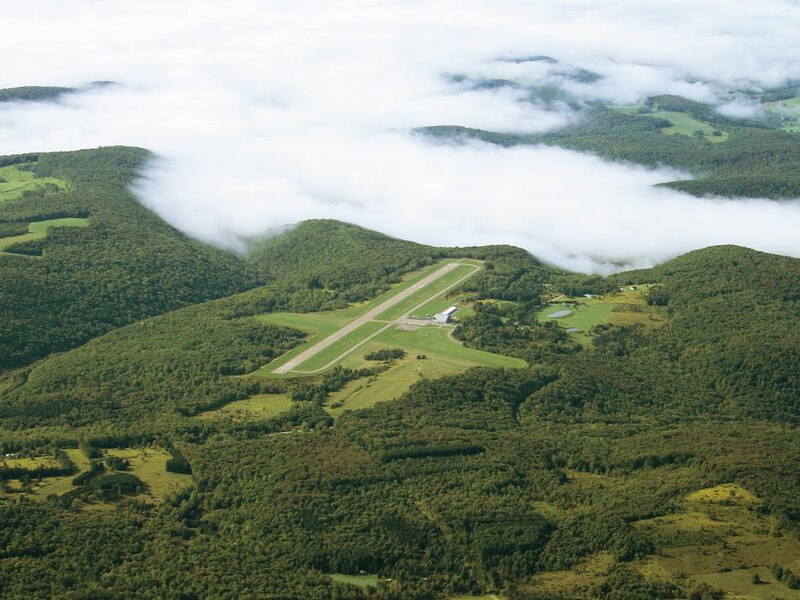 The Cattaraugus County - Olean Airport perched on a high bluff overlooking a misty morning sea. For a time, we were the only arrivals at The Silver Wing. We sat on the deck overlooking the ramp, watching airplanes come and go, and devouring excellent frittatas while Cheesburger in Paradise and other Jimmy Buffet classics played in the background. By the time we returned to New York, the vapors had retreated, leaving fog-ravaged valley towns in their wake. We slipped to runway 10 at Le Roy in a light, but direct, crosswind. With the planting of an upwind wheel, followed by settling the rest of the aircraft to Earth, we concluded our morning breakfast run. Nine years ago today, four aircraft were forcibly pressed into the service of an unspeakable nightmare. 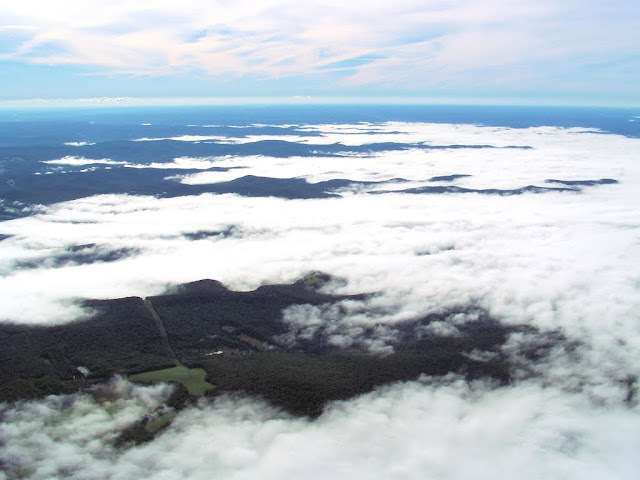 This morning, we soared peacefully above a fog obscured landscape and drank in the beauty of the Earth below. Flying for the sake of flying. As it was meant to be.